WOW! Can you believe we only need 154 "LIKES" on our Facebook page to reach 40K?? 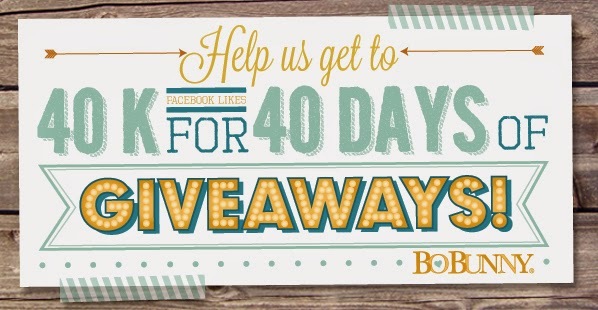 We are so impressed and want to give a huge shout out to all our loyal fans who have continually helped us spread the word about our 40K 40 Day promotion! As promised we let YOU vote over the weekend for which FULL collection preview you wanted first. Now we bring to you the winner: Lemonade Stand!! Leave us a comment and let us know what you like, what do you love, what can't you live without?! Keep watching our blog this week for the next FULL collection Preview! 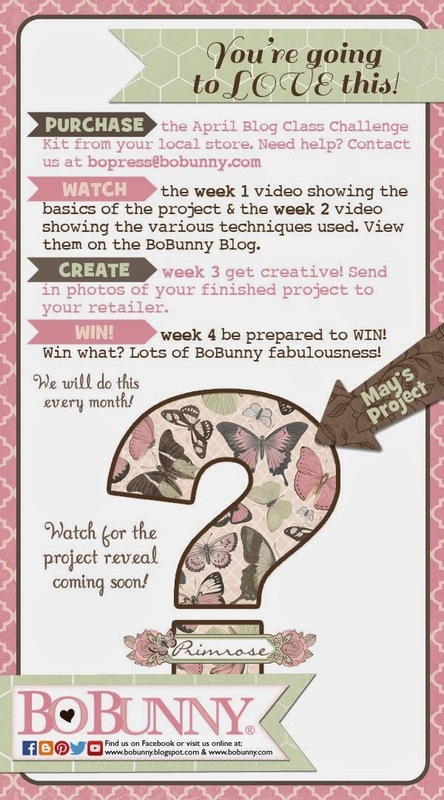 May is right around the corner, we will be revealing the May project soon! If you love the Primrose collection you are not going to want to miss this! Oh my goodness! I just had to pick my jaw up off my keyboard! Awesome collection!! I love the paper the best, so bright and the colors are just great!!! Bo Bunny has did it again!! I love the papers and jewels! The colors and patterns in the papers are amazing!! I am almost always a "B" side scrapper but I love almost all of the "A" sides in this collection too!! happy happy happy colours!!!!! It makes my screen shine. Love all the papers and the combo stickers. New problem: cannot join the blog class, as I've just killed my collection in an album. All I have left are bits and bobs and pieces. Ah well, maybe next time. Just watching the video's is fun in itself. Bring on the joy of more new and happy collections!!!! 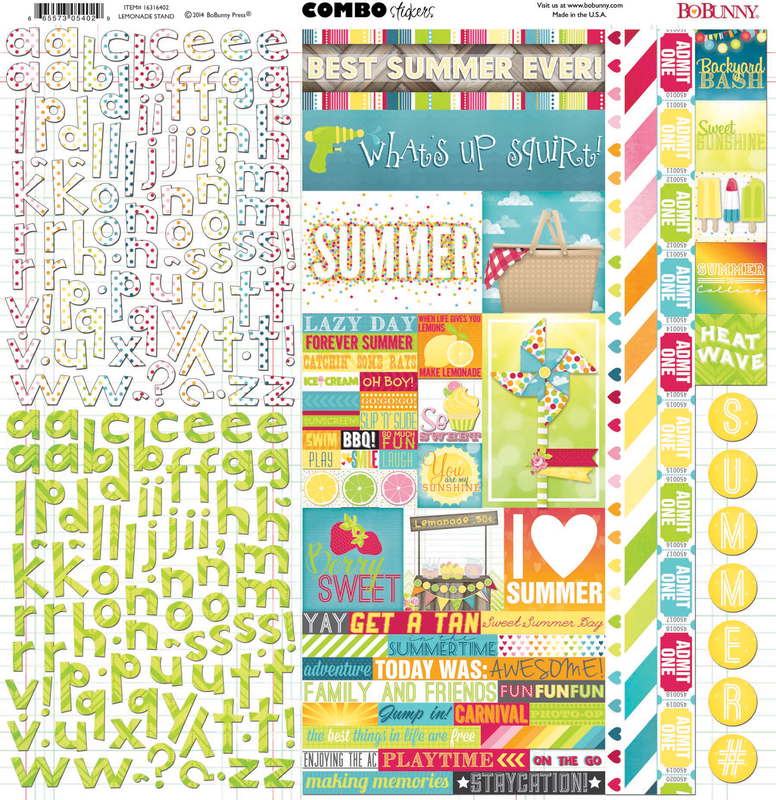 I love the "Squeeze Me" paper and the sticker collection, especially those alphas! 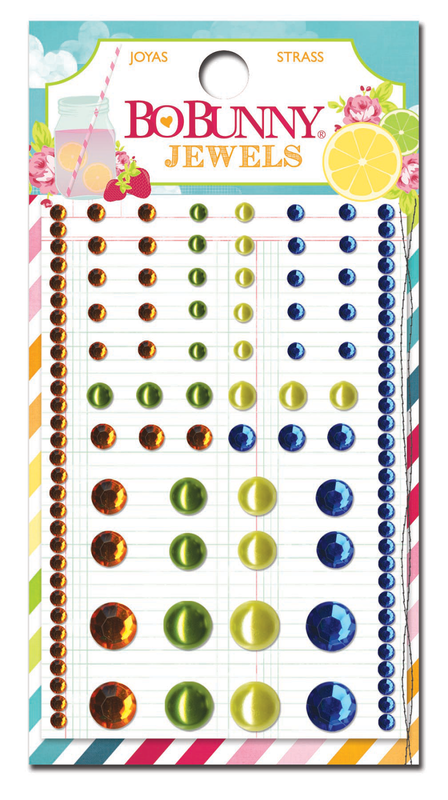 All the fabulous patterned papers and the brads are a definite must have for me! 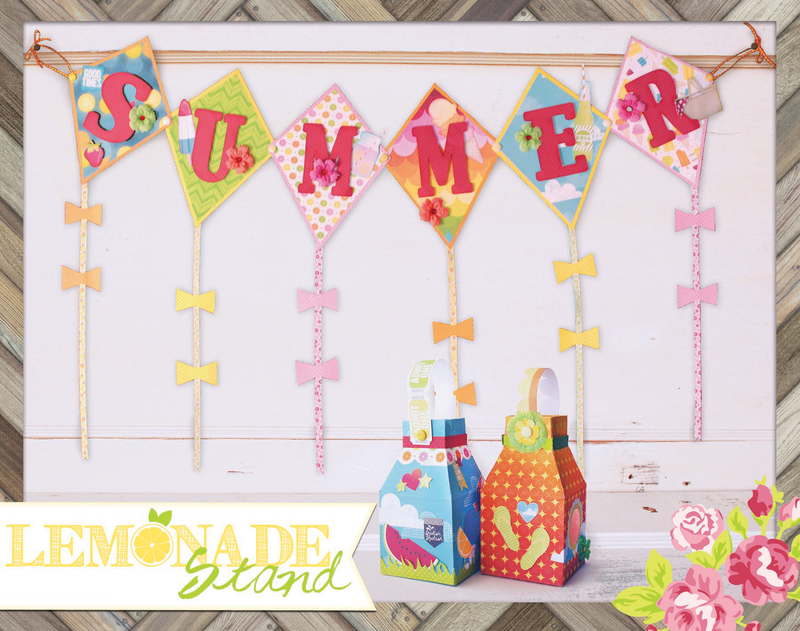 I love the colors and banners in this collection and that lemonade stand is adorable! All The Fabulous Colors!! LoveThis Collection! Love those fabulous bright colors and the bokeh papers! Can't wait for summer now. 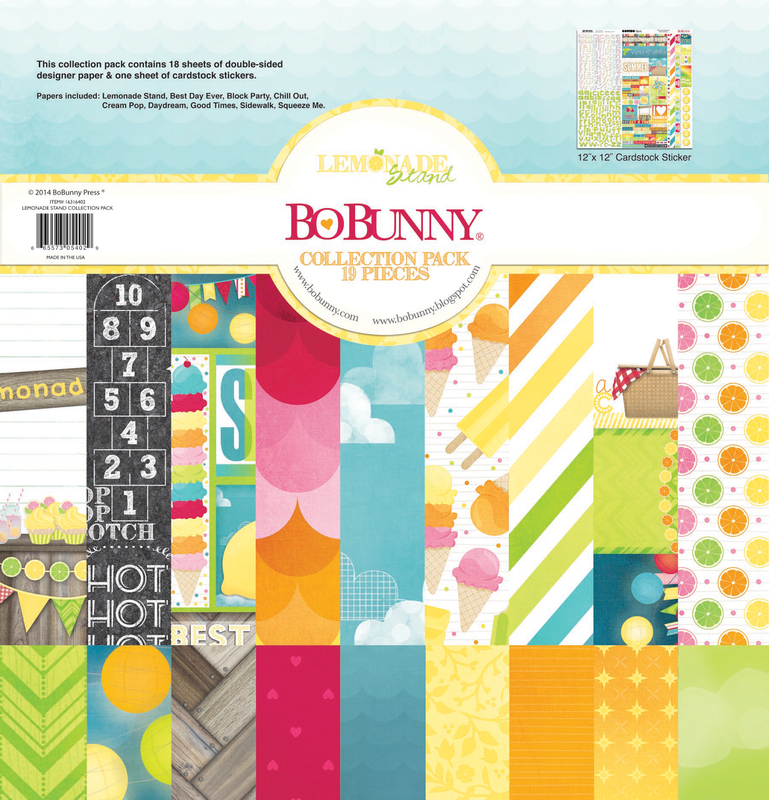 Bo Bunny papers are always my favorite hands down! Wow, what a fantastic collection! I love the vibrant colors, patterns and combo stickers. Love all of this collection! Those colors are so amazingly bright and full of energy! I AM OVER THE MOON excited about Lemonade Stand! 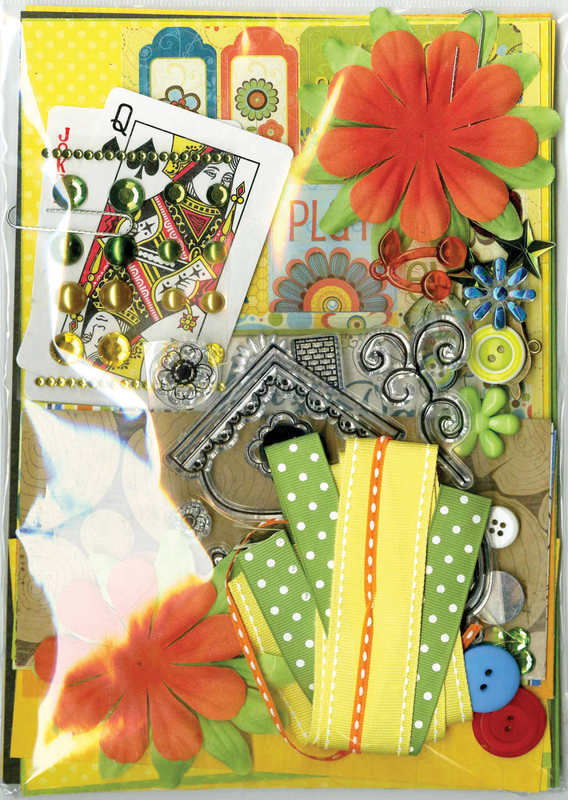 I love all the beautiful rainbow of colors in the paper and embellishments. I have to have this collection. It's awesome! Like your best collection ever awesome! It's like the sun is always shining! especially like the "squeeze me" paper... awesome! 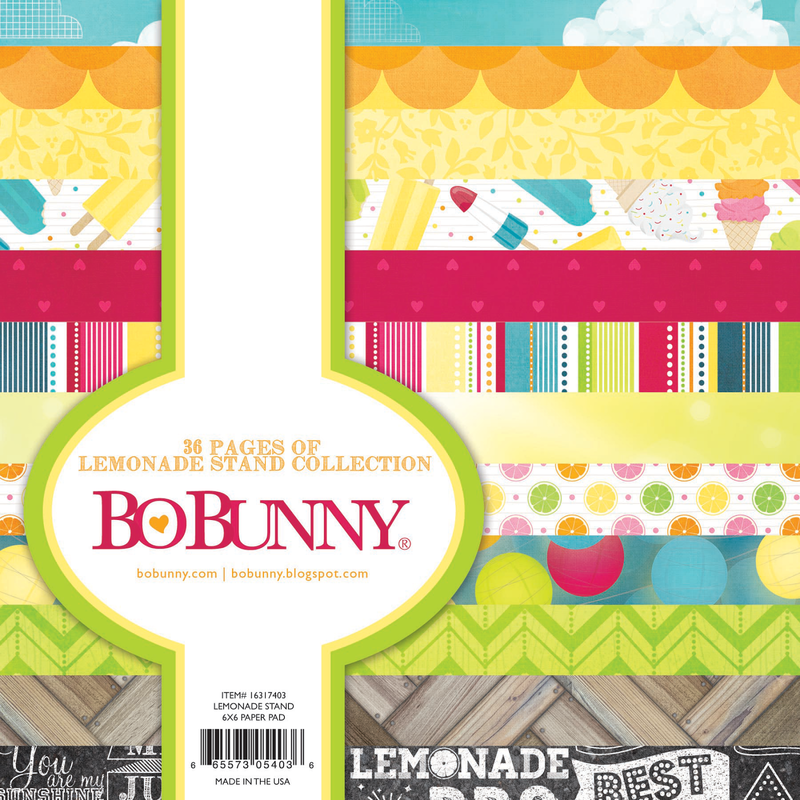 Bo Bunny have done well to make such a sunshiny, happy collection through a long bleak winter. We are just heading into winter here and starting to enjoy the cooler weather. The collection looks very versatile for both boy and girl pages. My favourite page is the first page with the lemonade stand on it. Love! The color combinations! The graphics! I can't wait to get scrappin' with this. Bo Bunny, you've got another winner!!! Definitely a fun summer collection! Love "I scream, you scream…"
WAUW this is so awesome and really beautiful for all the amazing summer projects, we´re hopefully soon going to make. I absolutely love everything of it here and just can´t pick one for another less say anything I would be without LOL. Wow, this collection is fabulous!!! The bright colors and patterns are so fun!! 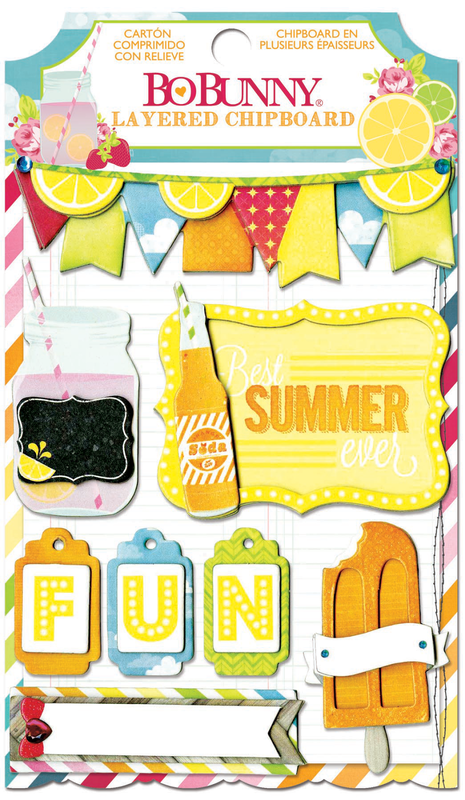 Love this sunny and happy collections! Everything looks wonderful! Great collection! Perfect for the summer photos. So so cute! Not usually not one for super colored papers but I love this line! Nicely done! 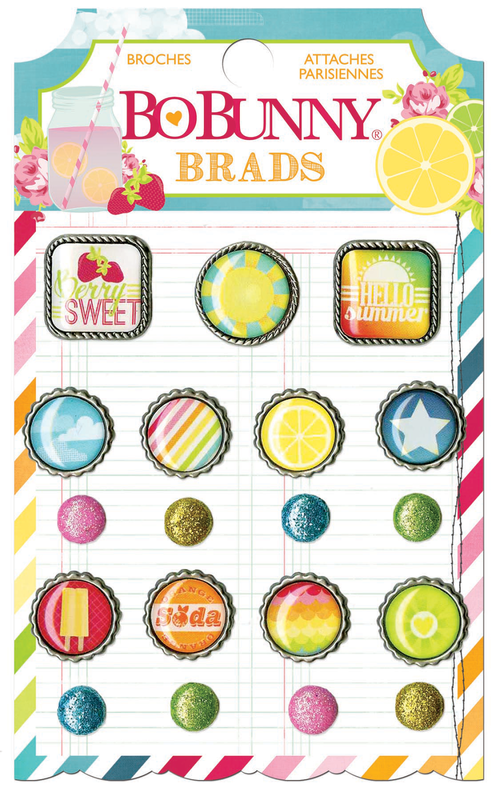 Love the buttons, brads and jewels and of course I will have to have a 6x6 paper pad for my card making - too hard to narrow it down to A favorite! Super collection !!! Oh I could use everything in this collection, cannot choose one item that I like most, I could finish all my summer photo's with this collection! Wow! This line is fantastic! Love it all!!!! 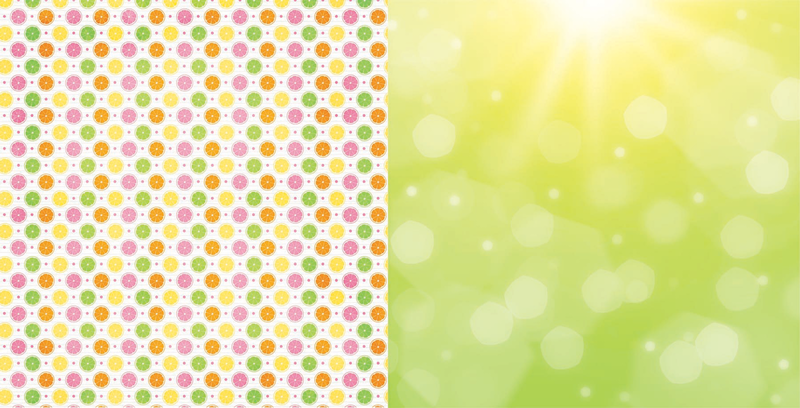 Love all the yummy summery colors! 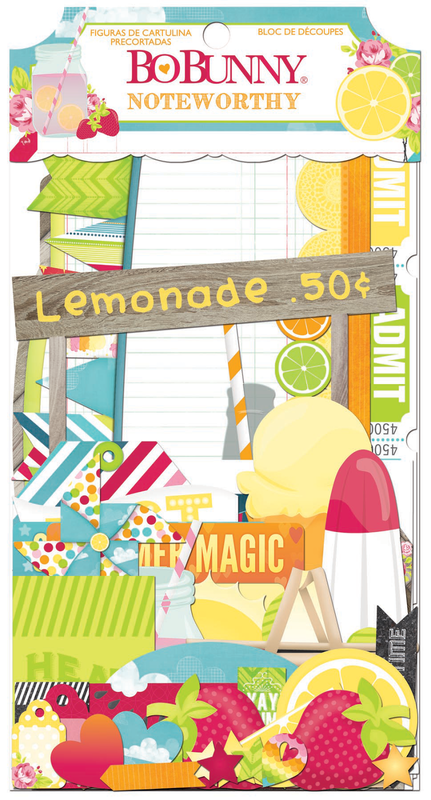 I really like the Lemonade Stand Combo Sticker pack! The collection pack is a dream!